(Friday & Saturday only) March 29th & 30th at 7 p.m. 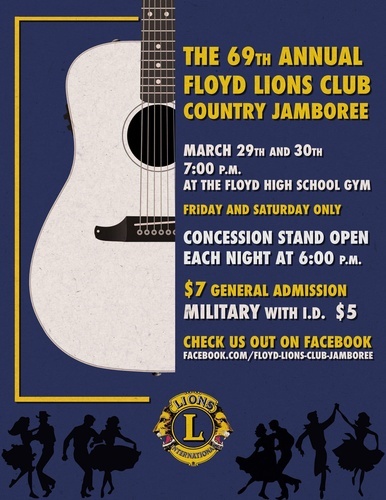 Traditional Country music show featuring the area's most talented singers and musicians sponsored by the Floyd Lions Club at Floyd High School. General Admission is $7 for each show. Military with ID $5. Concession Stand Open Each Night at 6pm!